Do you have any handbooks or information? Division 1 runners up medal won playing for Tilbury Community Centre 1968-69 season. 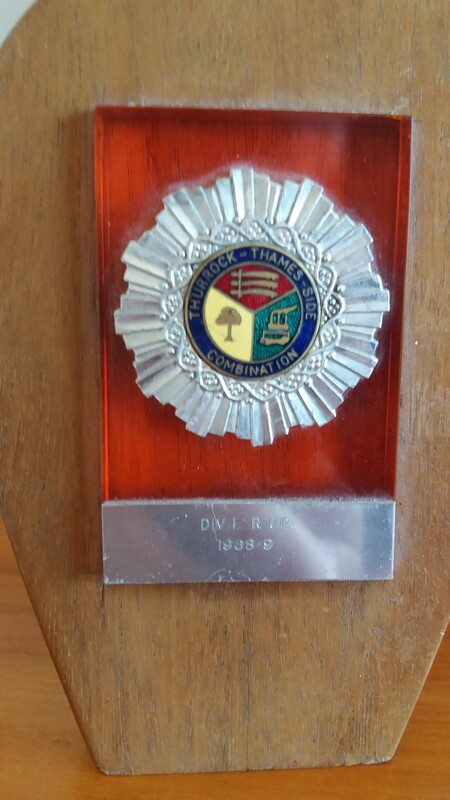 I am looking for information regarding the now defunct Thurrock Thameside Football League. The football played in those league was played on a Saturday. I am particularly looking for the League handbooks from 1944 – 1960 inclusive. Does anyone have any handbooks or other information. Do you know who may have anything like this. If so can I borrow them or have sight of them? I presented a copy of Chadwell Sports handbook for 1953/4 Thameside Combination,they were league champions,have a look on the sports page for a photo.